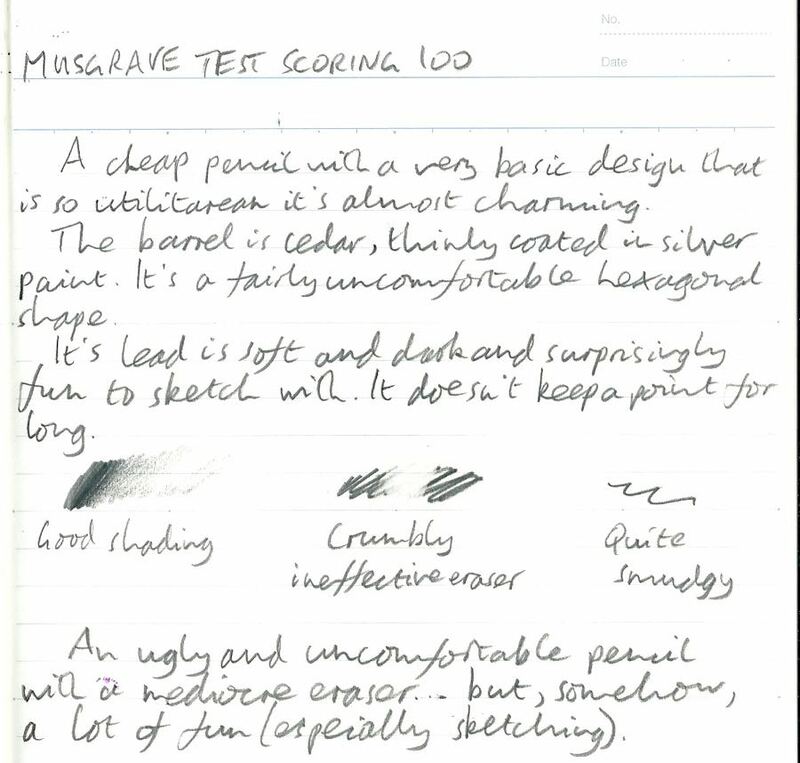 Musgrave Test Scoring 100 Wooden Pencil Review – Pens! Paper! Pencils! 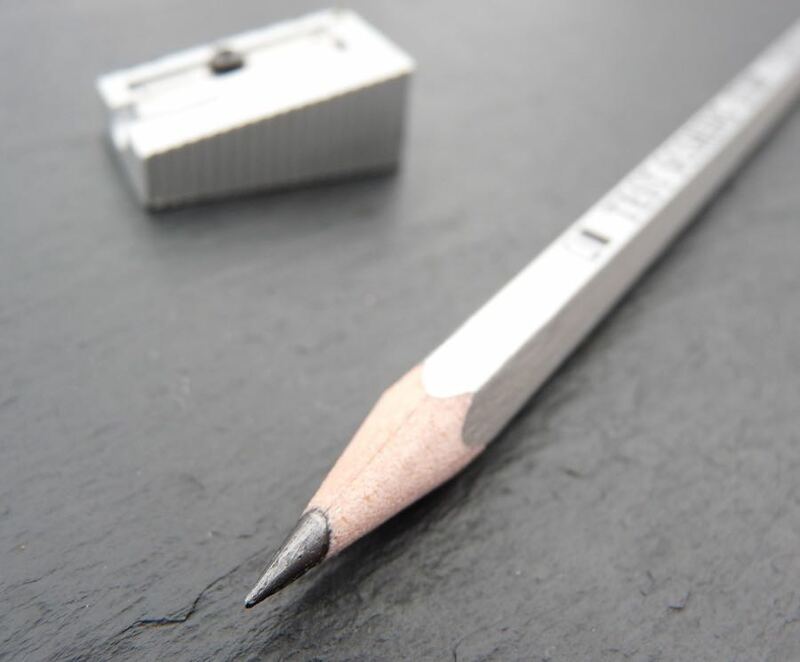 The Musgrave Test Scoring 100 is a budget wooden pencil in a distinctive silver finish. It’s designed for filling in those little boxes you get in multiple choice tests, with extra-reflective graphite meant to be picked up more reliably by scanners. 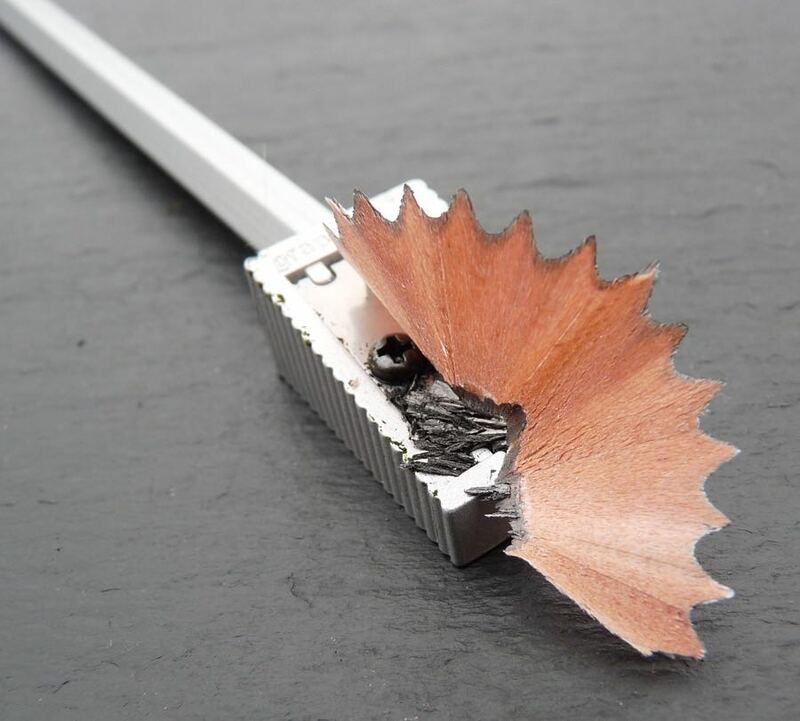 The pencil is finished very simply with a thin layer of silver paint. The grain of the wood and the join between the two halves of the barrel are clearly visible. There’s printing on just one side, clearly demonstrating the pencil’s purpose in life. It’s always a bonus to get a pencil without a barcode. The lead is soft and dark and quite smooth. The barrel is cedar and the pencil sharpens easily. 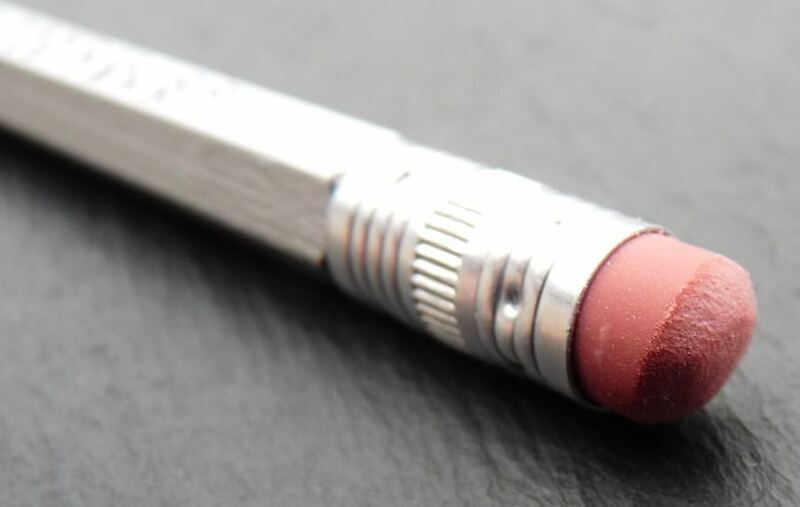 This is a good thing as you’ll be sharpening this pencil frequently: it does not keep a point for long. The eraser is quite hard, quite crumbly and not quite useless. It does erase the line, but barely. This isn’t the best pencil for writing with but then it’s not meant to be. Where it comes into its own, though, is for sketching. It really is a lot of fun drawing and shading with the Test Scoring 100. So much so, this is, surprisingly (to me, at least), likely to be replaced as soon as it’s worn down. Ooh, I really enjoyed this post. I find it a bit too soft for writing too but I love the ‘Americana’ of it (I can imagine Steve Earl jotting lyrics with one!). Sounds like a nice drawing pencil though!